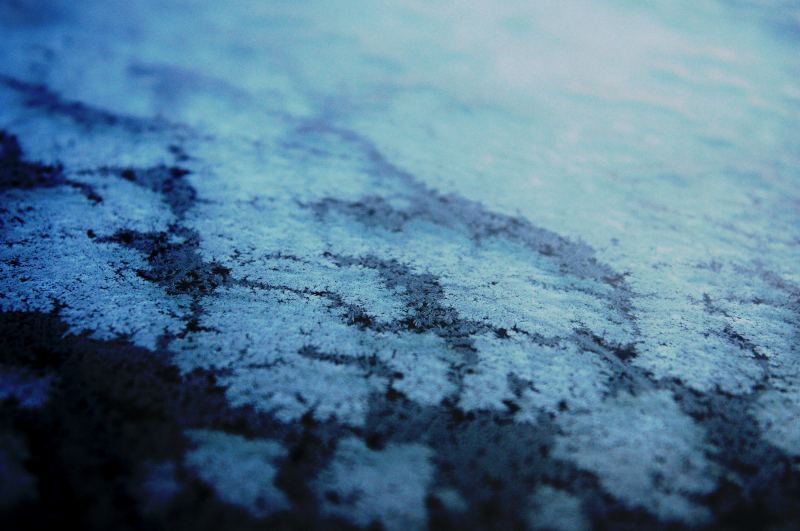 The frost on the patio table this morning. Two duplicate layers, blending modes Linear Burn (90%) and Vivid Light (100%). This is so pretty and so delicate.